February is a great month to think about how we take better care of ourselves. Often this month we can feel that winter is dragging on, and will never end. Maybe we have stuck to healthy lifestyle choices over January and we are worried we might fall “off the wagon”? This might be fuelled by well-meaning friends or relatives saying things like “oh go on treat yourself, have a glass of wine, a cake, some chocolate etc. you deserve it”. However, there are many ways we can practice self-care in more sustainable ways, including through our approach to our yoga practice. In this article, we will first explore self-care in yoga classes, particularly how to look after vulnerable areas, for example wrists, neck and lower back. We will then look at some specific types of yoga which are based on self-care principles: in particular Restorative Yoga and Yoga Nidra. I will also introduce some simple yoga-based mindfulness and techniques we can use to practice self-care every day. One of the first things that I encourage people to do in a yoga class is to make sure they set up properly. Simple things such as having a blanket under the knees, or an extra mat, or block for our hips can vastly improve our comfort and level of self-care in a yoga class. We also want to ensure we will not be too hot or too cold. Here at our beautiful yoga retreat on the Costa Blanca, Spain we try to take advantage of the lovely weather by having as many yoga classes as possible on our stunning roof terrace. Of course the temperature varies over the year, so in the winter months I encourage people to ensure they wear layers, and keep their socks on in the seated positions. Practicing yoga outside can bring many self-care benefits by helping us produce vitamin D, connect with nature, and be present. If you would like to try some quick outdoor yoga see this article. As well as general levels of comfort it is very important that if you have an injury in class you inform the instructor in advance so they can help take care of you. Well-trained teachers know lots of modifications that can be made to asanas, to ensure you practice safely. However, the teacher cannot possibly be in all the students’ body or know exactly what is going on for you. Therefore, I recommend that as a student we pay particular attention to certain parts of the body where common injuries may occur. I have highlighted a few simple ways we can practice self-care in yoga below. These are simple preventative suggestions, and if you have a serious or ongoing injury you should be under the care of a physician. Dynamic yoga classes with lots of downwards dogs and planks might place quite a bit of pressure on the wrists. There are many ways of reducing this. Firstly it is important to ensure you are using your hands properly by spreading the fingers and distributing weight across the whole of the hands and not just on the wrists. If your wrists are already sore I would recommend either trying to come onto the elbows as much as possible, for example elbow downward dog, and elbow plank. Another alternative to lessen the angle of the wrists would be to fold up the mat and place the wrists on the folded mat and the fingers on the floor. If you practice a lot at home you might consider purchasing a wedge wrist support, which are available from all good yoga suppliers. Yoga can be great for improving our shoulder flexibility and strength. However, some positions, if not done correctly, can put a lot of pressure on the shoulders. If you have any pre-existing shoulder issues I would recommend replacing chatarangas with simply moving down to the mat and doing a mini cobra (with the hands off the matt). I would also recommend taking the hands very wide and making sure there is lots of space in the shoulders in positions such as downward dog. It is also good to practice shoulder mobility, and relaxing the shoulders in different positions. For example practicing Triangle pose with the top hand down, resting on your hip. Yoga can be fantastic for improving our posture, strengthening the back and reducing back injuries. However we also want to be careful with our backs and if you have a sensitive back it is recommended that you bend your knees in forwards folds, and also do not take your back into too extreme ranges of motion. Be careful moving into cobra or when pushing up or holding in plank. Some positons in yoga involve moving the neck quite far forward (for example shoulder stand) or back (for example camel or in fish pose). If you have a sensitive neck I would recommend avoiding these types of positions, and focus on keeping your neck in a more neutral alignment. Another sensitive area is the knees. If you have had any knee injuries I would absolutely use extra padding under the knees, for all positions when knees are resting on the mat. I would also always try to align your knees with your feet to avoid pressure on the inner or outer knee. Many positions in yoga involve stretching the hips which can be great for flexibility. However if you have experienced any hip instability or pain I would encourage being careful with the hips and avoiding overstretching the hips. In the above section I have looked at ways we can practice self-care in yoga, by avoiding damaging our bodies, and taking care when we are already injured or have areas of sensitivity. As well as avoiding hurting ourselves there are many other ways which we can practice self-care in Yoga. Two of my favourite practices for when I am feeling tired or fatigued are Restorative Yoga and Yoga Nidra. Restorative Yoga is defined as the use of props to create positions of ease and comfort that facilitate relaxation and health. I love practicing Restorative Yoga as it help me to move inwards, soothe my nervous system, and feel calm. A very simple restorative pose is to place a rolled up blanket under the shoulder blades with the hands and legs stretched out. This helps to counter the effects of sitting or travelling. Often even after a few breaths you can feel the difference in this pose. Another of my favourite poses for self-care is child’s pose over a bolster. If you have not got a bolster at home you can use a cushion or rolled up blanket. Here is a more detailed description of how to do Childs pose and some excellent other yoga poses you can use for self-care. Another way to practice self-care through yoga is to use breathing techniques, meditation and mindfulness. These simple practices can help influence the regions of the brain that help to reduce psychological stress and increase relaxation. Over time doing these types of practice and help ease anxiety and increase our mood. A very simple yoga breathing technique is three part breath, here is an explanation of how to do it. We can also practice self-care in yoga, by knowing when to look outside traditional yoga practices. For example, if we notice in our yoga practice that our body is aching or sore we might want to have a massage. To read more about massage see our interview with Juan Carlos, our new resident masseur here at our Yoga Retreat in Spain. Personally I love to complement my yoga practice with other types of movement practice, for example I use Pilates to help strengthen my core, or I love doing a dance class to raise my heart beat and help me feel free! Doing different types of movement practice enables us to experience the beginners mind, and the joy that comes with this. We can also bring these new perspectives back into our yoga practice and experience the beginners mind in yoga. Here at La Crisalida Retreats we offer many types of Yoga, including Restorative Yoga and Yoga Nidra, and many other fun movement practices. 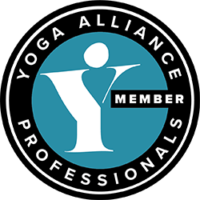 To find out more about yoga click here, or why not contact one of our friendly reception team. Tania is a member of our programme team. Enjoy our healthy juices or fabulous, fresh, home cooked plant-based meals.